Camrosa operates thirteen wells in four aquifers that produce fully half the drinking water we deliver. We have, for more than fifty years, operated those wells in response to basin conditions—when groundwater levels are high, we pump freely. When they fall, we’re more conservative. As levels of various water constituents fluctuate, we blend with more imported water to balance them out. This adaptive management has allowed Camrosa to steadily increase the proportion of the water supplies we develop in this area while remaining good stewards of our local resources. 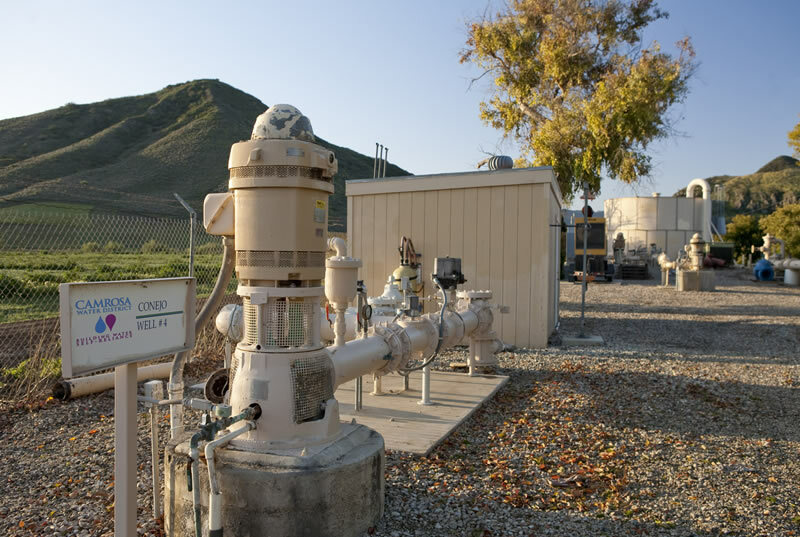 And it dovetails well with the Sustainable Groundwater Management Act of 2014, which was hailed as the most historic piece of California groundwater law in a century. The intention of SGMA (pronounced “sigma”) is to bring California’s 515 designated groundwater basins into “sustainability.” What that means and how it will be accomplished is to be determined locally by groundwater sustainability agencies (GSAs) through groundwater sustainability plans (GSP). The Santa Rosa, Las Posas, and Pleasant Valley Basins have been identified by the California Department of Water Resources as basins requiring management by a GSA. The majority of the PV and Las Posas Basins, and a small portion of the Santa Rosa Basin, will be under the jurisdiction of the Fox Canyon Groundwater Management Agency (FCGMA), which is named in SGMA legislation as an exclusive agency. About eighty percent of the Santa Rosa Basin lies outside FCGMA boundaries, however, and that portion of the basin will be operated under a joint powers authority (JPA) agreement between Camrosa and the County of Ventura. The first step in fulfilling SGMA requirements is to develop a groundwater sustainability plan. While overdraft is a problem in many high- and medium-priority basins, it is not an issue in the Santa Rosa Basin. The main concern there is the elevated nitrate levels. How much of that nitrate contamination is naturally occurring and how much is a result of land use in the Valley is unclear, but degraded water quality is the primary sustainability criterion the Santa Rosa GSP will address. Further management of and potential remedies for nitrate levels in the basin will also be explored in the GSP. We have until 2022 to complete the GSP; “sustainability” must be met by 2042. You can follow the proceedings of the Santa Rosa GSA at the button below.